The second book in the Divergent series by Veronica Roth hit the big screens on Friday. Insurgent begins shortly after the first movie ends. You can tell things are frantic and fast paced, and this keeps up for the whole movie. Watching Insurgent reminded me so much of leadership. Each scene progression provided another leadership lesson we could take away. So, what are those lessons? Read on and find out. 1. People fear those who are different: Tris Prior is the protagonist of the trilogy. She’s also what is called a Divergent. In the Divergent universe, there are factions. You will find people fit into either Abnegation, Erudite, Dauntless, Amity, and Candor factions. Unless you’re special. And then you may fall into the different faction of Divergent. This is were Tris falls. And this makes her feared and different. Leading will require you to be different. You will make choices that separate you from the pack. Your choices here will make you an oddity among your friends and family at times. Don’t worry, it’s okay to be different. I know you’re angry, Tris, but you’re letting it all consume you. Tris and her group of insurgents arrive at an Amity village and are given refuge. This is where we meet Johanna who tells Tris her anger is consuming her. Leaders, take note that anger can consume us and change us. This is not the way to lead. Anger doesn’t lead to success. Anger leads to death. 3. Bad leaders feel they must control: Jeanine Matthews, played by Kate Winslet, is the sole representative from Erudite. And she tries to rule by holding tight to control. As we enter into the Erudite city, you see messages displayed telling the citizens of the fearful things that are happening. This is all in an effort to control those Jeanine is trying to lead. 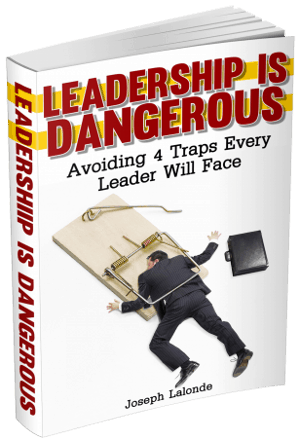 You’ll find many bad leaders feel they have to control every aspect of an organization to effectively lead well. You and I both know this isn’t the proper way to lead. This only leads to resentment and chaos. Marcus is the leader of the Abnegation faction. He’s also Four’s father. To say he was a good father would be a lie. He abused Four and his mother. Yet his quote stuck out to me because we need to realize bad people can change. While he wasn’t a good father to Four, he did change his ways. He sheltered with a peaceful faction and got well. Who have you seen as a bad person in the past and they’ve tried to show you they’ve changed yet you won’t believe them? Is it time to give them another chance? 6. Give someone another chance: This plays into Marcus’ quote but also rolls into Johanna giving the remaining Dauntless members a final chance to stay in Amity. After a fight broke out, Johanna had a choice to make: Kick the Dauntless members out or let them stay. Eventually, Johanna gives the gang one more chance. We’re quick to tell people they have to leave or they don’t belong. We think one or two or 20 mistakes means they’re not good enough to stick around. But what if we were willing to be more forgiving, more kind to those who aren’t perfect? We can come to the conclusion we can help those who need it. Tris is ready to bring the fight to Jeanine. She wants to see justice for what has been done. And she thinks storming Jeanine’s stronghold and killing her is the way to go. However, Four sees things differently. He knows their numbers are low. He knows they’re not prepared. He knows they’re not ready. Do you have someone within your organization who’s willing to step up and tell you that you’re not ready? You need to have someone like this on your team. It will save your organization. 8. You’re being sought out: During an epic fight scene Four admits to the factionless group that he’s actually Tobias Prior. This quickly ends the fight and they bring him to someone who’s been searching for Tobias. While we may not have a long-lost mother seeking to find her son, we do have people who are looking for us. They’re looking for the knowledge and skills we can bring to an organization. Who’s seeking you out and how can you help them find you? I know you think Caleb was your responsibility. He made his choice to leave. You can’t protect everyone. Caleb is Tris’ brother. He decides to leave Four and Tris and go his own way. He made a choice and Tris struggled with this. She felt it was her duty to always guide and protect her brother. Leaders often feel the same way. We feel we have to protect everyone we lead, regardless of the choices they make. The truth is: We can’t protect everyone. And we can’t force someone to make a choice. We have to let them decide for themselves and go their own way. We can only try to guide them. 10. The truth can hurt: Tris is approached by Christina when she arrives at Candor. She asks her what has happened to Will. Knowing that she had to kill Will, Tris struggled with answering her. Tris felt she had to protect herself, and to an extent, Christina, so she lied. She told her she didn’t know what happened. The truth later came out when Tris took a truth serum and Jack King asked her who she killed. You will, at times, know of a truth that will hurt people. You will have a choice to hold the truth in or let the truth be known. This is a difficult spot to be in in leadership. You will have to tread lightly in those situations. Be careful what you choose to hide. I had no idea what Jeanine was capable of. Kang, played by Daniel Dae Kim of Hawaii Five-O fame, wanted to hand over the Dauntless members to the Erudites for judgement. However, Four convinces Kang to administer a truth serum to get the truth. He relents and gives Four and Tris the serum. During the interrogation, he learns Jeanine is not who she seems to be. In leadership, you will meet people who seem like they’re good people but they’re actually trouble. Learn how to discern what’s going on around you. 12. Bad leaders can feel like they’re serving the greater good: While Jeanine is destroying their world, she’s doing it because she feels she’s serving the greater good. How can this be though? She’s killing people. She’s destroying families. She’s controlling people. Yet when you hear the words, you see how she has been misled into thinking her ways justifies the means. When we see bad leaders, we’ve got to understand they’re not always evil. Sometimes their logic is skewed and they’re doing bad things because they believe the actions justifies the means. Tris has seen so much death because of her. Most recently the controlled suicide of a factionless member. This pricks her heart and she knows she must act. Leadership will require us to give of ourselves. We can’t let others suffer because we want to be safe. 14. Problems can actually be the solution: In the Divergent universe, the citizens thought Divergents were the problem. They were the ones who were different. They were the ones who caused trouble. And yet we discover Divergents are actually the solution to the problem after Tris completes the trials of the mystery box and the message was revealed. Do you look at problems as an issue to be rid of or do you see problems as a possible solution? It’s time to change the way you view problems. They may be your best chance at finding a solution. Question: Have you seen Insurgent yet? 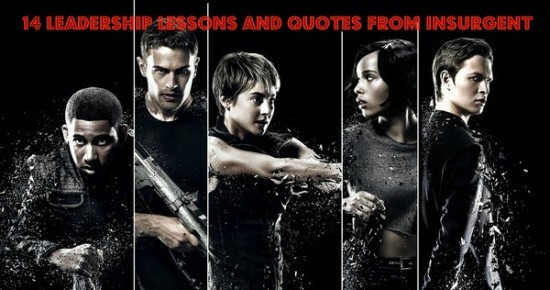 If so, what leadership lessons did you get from the movie? If not, what was your favorite leadership lesson I found? Let’s talk about this in the comment section below.